The Longines Time Machine, which has been our vehicle of choice for exploring the brand’s long and incredibly varied history in its 185th year, lands here on a story-rich piece of ground. 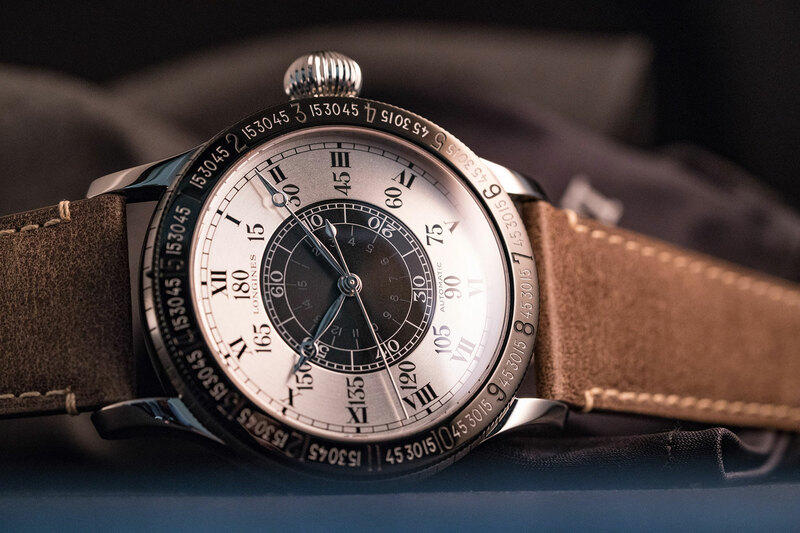 This episode is all about Longines’ efforts to assist some of the great moments in history, including Charles Lindbergh’s first solo transatlantic flight and the first non-stop flight between North America and mainland Europe in 1927, where we lay our scene. The voyage has been commemorated by Longines with an (insanely) limited-edition piece, the Lindbergh Hour Angle Watch 90th Anniversary, which we reviewed here. Buckle up, this is a good ’un.